Don and Polly Hegedus establish Heggies in a garage at their home in Onamia, Minnesota. At the time, it was rumored the smallest USDA-inspected facility in the country. Don, Polly & team builds the business resort by resort and bar by bar. So much so, the garage had to be expanded in 1995. Heggies debuts its “Six Pack” meat-lover’s pie – invented by the production employees who assemble each pizza by hand. It goes on to become Heggies’ best-selling pizza. Shawn Dockter, along with a group of investors, purchases Heggies as Don and Polly decide to retire. Heggies moves from the original manufacturing plant in Onamia into a new, state-of-the-art facility with a freezer about equal in size to the entire old plant. The extra space allows many more pizzas to be made – and gives Heggies plenty of room to grow. 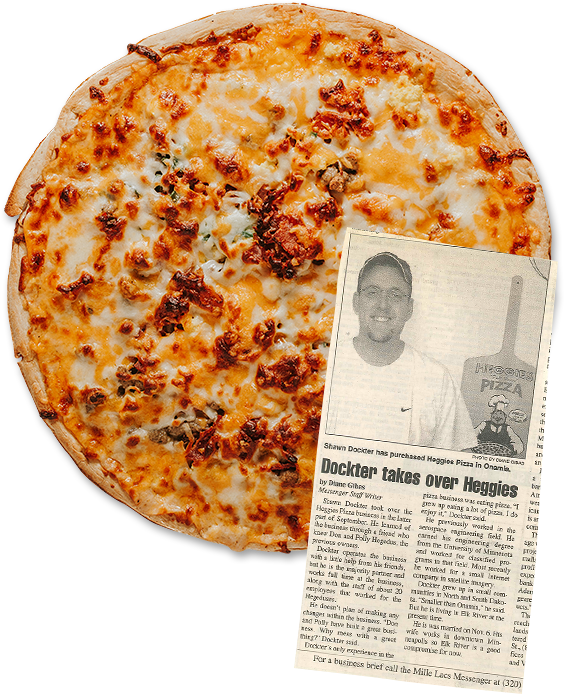 Due to overwhelming demand (and outstanding pizzas), Heggies expands to Iowa and the Dakotas. 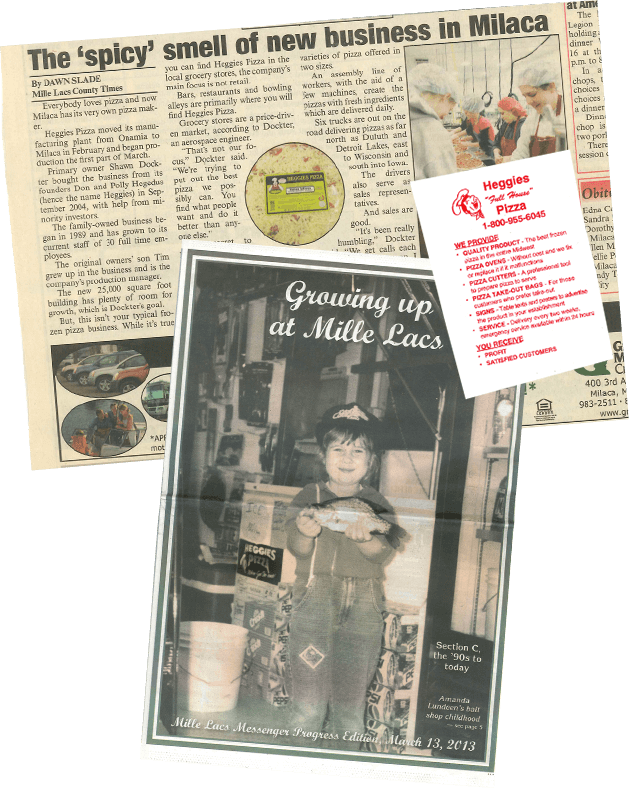 Heggies continues to be one of the most talked-about frozen pizzas in the Midwest by staying true to quality ingredients, being good to our communities and taking care of our customers.